After very successful market-share of Samsung Galaxy S3, Samsung has officially announced the Samsung Galaxy Portable media player 5.8 (PMP) which is android based device. This cannot be termed as Portable because Samsung has announced a 5.8-inch giant display for this device.Well it’s the specified display. The display has a resolution of 960X540 pixels which is quite appealing but it would not win in the race with the other upcoming devices in its segment. 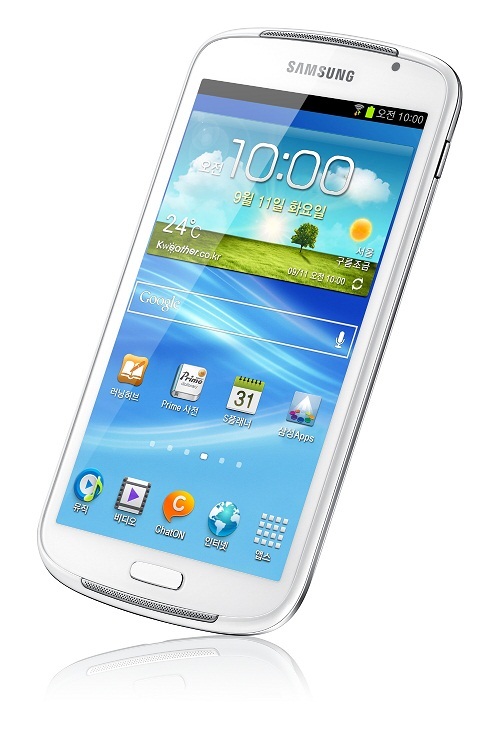 It includes Samsung TouchWiz software and Stereo Speakers with Samsung’s Sound Alive Wave technology. This device supports 1GB Ram and 16/32Gb internal memory and amazing feature is that it has a Micro SD card slot for memory expansion. Wi-Fi enabled and Bluetooth 4.0 add a feather to its cap and a 2500mAh battery for affordable working hours. The processor is based on galaxy S3 and Prices will be soon reaching and that will decide the trade status of this device. It Finally depends on the reviews which will come and decide whether this device is fit in the market or not.